Our typical fee for an inspection is $300.00. However, some factors will affect the fee. If you are comparing home inspection firms, the fee charged should not be the deciding factor unless the level of service offered is identical. Remember, you are considering a major purchase and your choice of home inspector should be based on getting the best value, not just the best price. We currently have 5 full-time professionals available to perform inspections. All of our inspectors have extensive backgrounds and experience in construction and inspection. Our inspectors are graduates of the Carson Dunlop Home Inspection Training Program. All were hired for their excellent communication skills and their hands-on experience. Their knowledge and experience are reinforced by the more than 100's inspections we perform every year. All About U Home Inspections has conducted more than 2500 inspections since the company was founded. Are you members of <NACHI>? 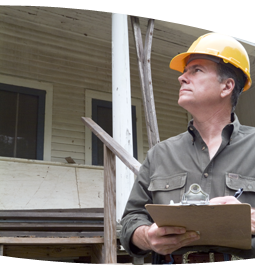 Our inspectors are members of <NATIONAL ASSOCIATION CANADIAN HOME INSPECTORS>.